Life is rhythm, and whilst learning to play an instrument like the drums to a high standard, takes a lot of time, technique, practice and knowledge. Sitting down and just beating out a rhythm is not a hard thing to do. It's internalized, instinctive...you could say it takes us back to our primal roots. Many of us tap out rhythms with our fingers, tap our feet and dance along to music, following this kind of natural internal rhythm or following along to whatever it is we are listening to. Everyone has a sense of rhythm. It’s just like everything in life, some people have refined specific skills (like drumming) more than others, but life is rhythm, it’s inside all of us. Credit: Photo Credit: <a href="http://www.flickr.com/photos/26406919@N00/162815156/">Unhindered by Talent</a> via <a href="http://compfight.com">Compfight</a> <a href="http://creativecommons.org/licenses/by-sa/2.0/">cc</a>These days, most people are aware that listening to different music can have amazing healing qualities. Have you ever wondered why it is that listening to a specific song can make you feel really good? Science has proven that there are a couple of reasons that music can have such a big impact on us. 1) Association - Both with words and songs. Music has the ability to drag us back to specific times within our lives, good and bad. Just hearing a particular tune can dissolve us into a dribbling mess or bring back golden memories. Sometimes if we have focused our attention on the words that are being sung, we can easily interpret the meanings of these songs into whatever may be going on within our lives at that present moment. 2) Vibrations (Also known as sound energy). It was Albert Einstein that said, “everything in our life is a vibration”. You don’t have to be a Quantum Physics expert to make sense of this information. Our body is constantly vibrating, even our thoughts are vibrations and our sound waves are effected by the outside sounds and everyday goings on of the world that exists around us. A busy, fast paced and stressful lifestyle can leave all of our sound waves out of synch, causing stress, anxiety and illness. So when we listen to specific types of music, it has the ability to resonate within us, and re calibrate (so to say) our internal vibrations, healing our bodies and relieving stress or even generally just improving our mood. One of the worlds oldest and most basic instruments. The drum has a simplicity which can work to counteract today’s technologically advanced and crazy pace of life. A basic hand drum can be purchased for a low price and doesn’t particularly need any training to use. In turn you will feel the beneficial results that playing a drum can bring about. Apart from the fact that it just “feels good”, research has proven that drumming is particularly useful in addressing these problems. One of the main ways that sitting down and banging on a drum can actually help relieve symptoms and heal our mind and body, is by raising our Alpha brainwaves which are associated with feelings of well being and euphoria. This obviously gives us a good indication about why it helps with emotional disorders and stress, but what about some of the other issues mentioned. In the case of Alzheimer patients and other people with diminished mental or even physical capabilities like stroke patients and chronic pain sufferers, the simplicity of a drum can allow patients to tap in to their internal sense of rhythm and copy simple beats played on a drum. It works as a form of communication (as it used to be in our history) that for someone such as an Alzheimer patient is a significant step. Making the patient concentrate on this simple task can enable the patient moments of coherency, a blessing for loved ones around them. This works in similar ways for stroke patients and chronic pain sufferers who get absorbed into the rhythm and sound that they are physically producing, a little like a form of meditation. Credit: Photo Credit: <a href="http://www.flickr.com/photos/64749744@N00/3848584372/">babasteve</a> via <a href="http://compfight.com">Compfight</a> <a href="http://creativecommons.org/licenses/by/2.0/">cc</a>If you look into the historical culture of many different countries, you will find hand drums and percussion instruments played a major part. In the past, people realised the importance and power of music, vibrational sounds and rhythm. Some cultures have managed to hold on and even merge these primal sounds into the modern-day. When we think about the main places famous for producing and playing hand drums, we usually come up with Africa (Djembe and Ashiko drums), India (Tabla) and Latin America (Congas and Bongos). Brazil is so well known for it’s complicated and mesmerizing latin rhythms, but is maybe more famous for sticked drums as opposed to ones you only strike with your hand. Other countries such as China, Japan, Russia, Ireland and Nepal all have famous drums interwoven within their cultures. To take an absolute enthralling journey into the “life is rythmn” statement, this amazing short YouTube film by Thomas Roebers titled - FOLI: There Is No Movement Without Rhythm, takes a look at Africa in a unique rhythmic way. We have established that drums have played an important role within cultures and that they have amazing healing and relaxation qualities. Working in a similar way to meditation and mantra’s, the pulsating rhythmic sound and feel of playing a drum is almost magical, and once you start to get drawn into this fun and beneficial pastime, you will find it a convenient and fantastic way to relax and unwind at the end of a day. A drum circle is when you gather a group of drummers together, sit in a circle and play. These days many drum circles are set up within our communities, as the benefits of playing a drum can become even more powerful when played as part of a whole ensemble. One big sound, one big vibration, a whole group in unison is an extremely impressive thing to behold, not to mention fun. All the benefits mentioned about playing drums actually multiply in this kind of social setting and everyone benefits from it. Credit: Photo Credit: <a href="http://www.flickr.com/photos/27583456@N06/4505678075/">liesvanrompaey</a> via <a href="http://compfight.com">Compfight</a> <a href="http://creativecommons.org/licenses/by/2.0/">cc</a>So you're really interested in giving hand drumming a try, where do you start? 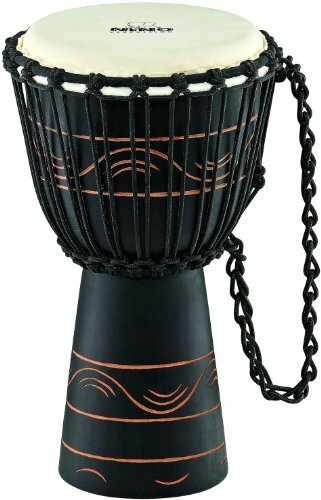 Probably the African Djembe drum is the most known and popular hand drum now days. All different drums from different countries have different techniques, but you can apply the basic principles of a djembe drum to just about any hand drum...so lets look at the very basics to get you started. There are essentially three tones that you will be trying to get out of your drum. Bass - Noted as B, Gun or Dun. The Bass note - This requires you to lock your wrist and strike the centre of the drum. The third row of knuckles on your hand should be slightly raised, and after you have struck the drum, pull your hand away as if the surface is burning hot... like you are pulling the sound from the drum with the whole of your hand. The Slap Note - You will first need to relax your hand, with your fingers apart (in a relaxed not tense manner). Strike the drum so that the underside of your third set of knuckles and your palm hit the rim of the drum whilst your fingers slap onto the head (skin) of the drum. Immediately let your fingers bounce back off. It’s almost like using half of your hand to get the sound and it is important to know that you don’t have to strike the drum hard to get the resonating tone nor do you have to pull your palm off the rim...however this takes some practice to master. The Tone - You need to put your fingers together, hold you hand completely flat and make sure it is firm, not relaxed. When you hit the drum for this tone, you need to hit the drum close to the edge of the rim. Only your fingers( in the region of the tip of your fingers to the middle or second knuckle) strike the drum. Again once your fingers have struck the drum, let them bounce immediately back off, that is unless you are trying to play a choked or deadened tone within your rhythm. NOTE : You are not trying to achieve "loud", so don’t hurt your hands by striking the drum too hard. It can be really easy to bruise or damage your fingers, especially whilst playing the third technique for the tone sound near the hard rim of the drum. To start with you can simply practice defining the three different sounds as best you can. Continually playing B, S, T, rest B, S, T, rest whilst keeping a constant and comfortable rhythm. This will set you on your way and you can make up your own rhythms or start to branch out with a few uncomplicated patterns to really start to have fun. For centuries, the simple drum has helped people communicate, relax, heal and have fun. Can you find your internal rhythm of life? Maybe drumming can help you on your way. Meinl produce high quality, professional percussion instruments and if you want to purchase a drum that you know is good quality, this small djembe is of professional quality at a very reasonable price.